Hello everyone! There are quite a few events happening this week around town and the surrounding area. Before we get to these events we would like to make a special announcement. Scenic Recovery will be joining forces with roanoke revolution to bring you the best coverage of what’s going on around our valley. This will not mean that Scenic Recovery is going away, we will continue to function as normal. What it does mean is that we will have help, a team of people dedicated to the underground here in Roanoke and a better opportunity to expand and really cover the people/places/music/art/film that make our community what it is. We look forward to this partnership and hope that you’ll stick with us and see this thing grow! Now on to what’s happening this week! Thursday (February 3rd) Roanoke artist Jane Vance will open the doors to her new gallery. Vance is best known for the above painting “Amchi” which was featured in the 2010 documentary A Gift For the Village. 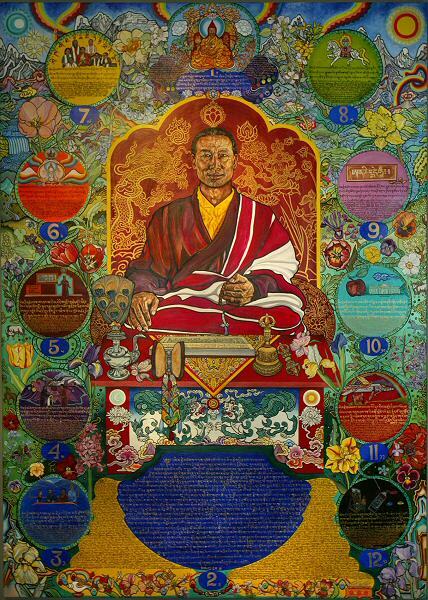 Join the artist as she plays host while guests filter in and out viewing her nearly 100 pieces of Tibetan themed art. Starting at 5pm and running until 9pm the Jane Lillian Vance Gallery is located at 309 1st St in downtown Roanoke. 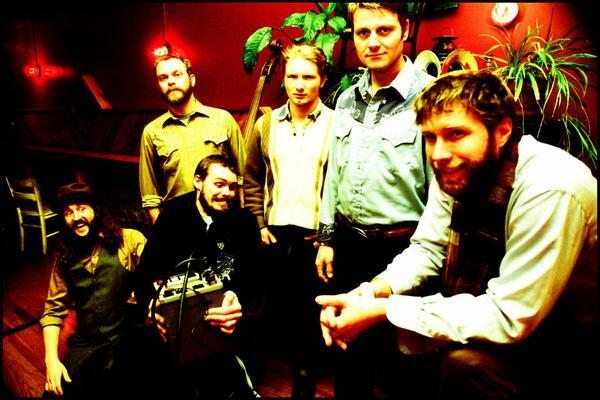 On Thursday evening Charlottesville-based americana group the Hackensaw Boys will be headlining Awful Arthur’s Towers location. 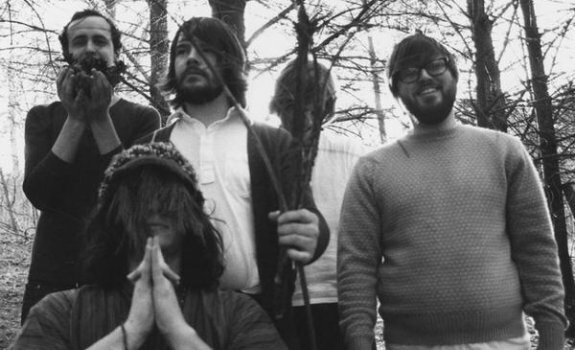 The Hackensaw Boys have become quite the popular outfit around Virginia having shared the stage with the Flaming Lips, De Le Soul and Modest Mouse. 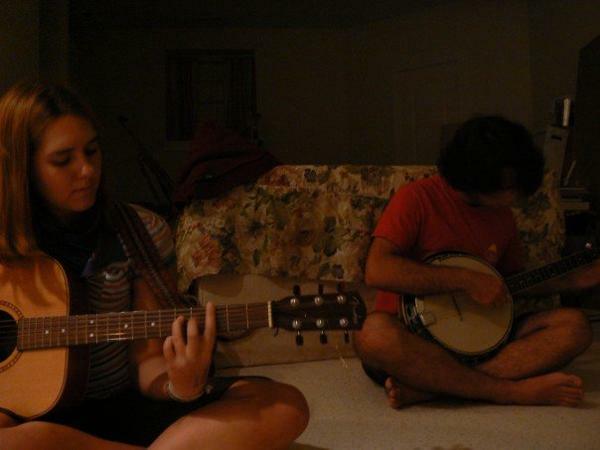 Also on the bill for the evening is Roanoke americana outfit the Watershed Conspiracy. This show starts at 9pm, tickets are $12 in advance and $15 at the door. On Friday (February 4th) the Shadowbox located on Kirk Avenue will show After Last Season. The Shadowbox claims this is one of the strangest films they’ve brought to us thus far. Judging by the trailer I’d say they could be right! What looks to be a thriller done in the laughable yet cultish style of the Room I’d say its worth going for how “bad” or “good” it could be. Head out to the Shadowbox this Friday at 8pm to find out for yourself. Also that Friday night in Blacksburg is a house show featuring Roanoke’s own Nancy & 2 Meteors. Also playing the show are Blackburg one person party groups the Blind Photographers and CBZL. This show is set to start at 9pm on McDonald Street. Donations to the bands are appreciated! Three shows in Blacksburg on the same Friday night you ask? Why yes there are… but of very different calibers. Whether or not you’re attending the house show or Gillie’s you should make it a point to check out what’s going on at Lucie Monroe’s Coffeehouse. Starting at 7pm sharp you will be entertained by a large line up of folk singers and songwriters. Featuring the talents of Without A Fight, Ike As In Dwight’s Maya Renfro, Dragon Worrier, Paul Riffe, Woofdog, and Kenny Spade & Neal Buck. If you decide to go to this show it will end by 10pm while the house show and Gillie’s show both start at 9pm. Not too much overlapping there! Cost at the coffee shop show is only $3! Starting on Friday and ending in the afternoon on Saturday the Grandin Village invites you to take part in Winterfest! Valley Bank is celebrating its move and opening by throwing a contest. The rules are as follows; pick up your “passport” from Valley Bank on Friday, visit twelve out of the twenty-four Grandin Village businesses listed on the form, return the passport to Valley Bank by 2pm on Saturday the 5th. The prize? A New York City get-a-way for two! All this for supporting local business! So go support your local businesses and enter to win! To round up the massive explosion of shows going on Friday in Blacksburg we give you Hoop Dreams with DJ Manta Ray at Gillies. 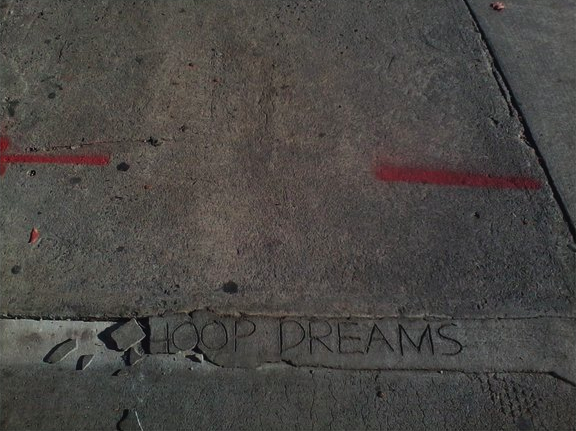 Hoop Dreams is a mellow indie pop band from Blacksburg featuring former Wild Nothing members, Jeff Haley & Max Brooks. Gillies is one of my personal favorite venues in Blacksburg with a great selection of food and awesome micro brews. Starting at 9pm this show is 18 & up and FREE! 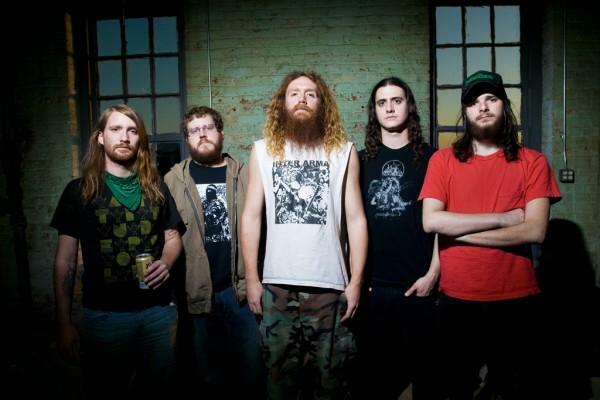 On Saturday (February 5th) Richmond-based metal band Inter Arma will be playing Magic Twig Community studio the Mystic Fortress. The band features former False Hope vocalist Mike Paparo and sitting in with them on drums will be Young Sinclairs member Samuel Lunsford, aka Joneski. This show starts at 9pm on Cleveland Avenue and is donation based. Back in Roanoke on Saturday the Blues BBQ & Co. present a night with the Browning Brothers. 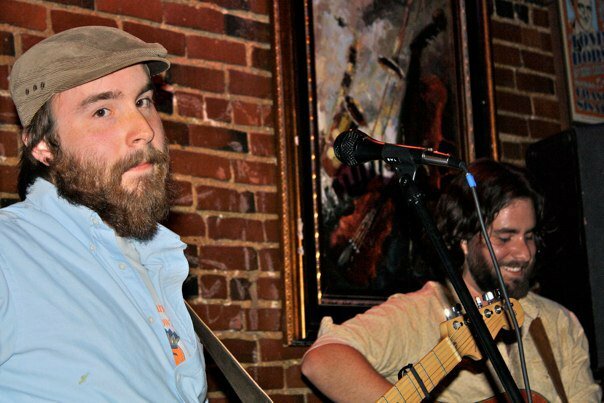 Ryan & Matt Browning bring their blend of roots and rock starting at 10pm and running late. Admission is free, 21 & up. Come on down to see some excellent music, eat some awesome food and try any of Blues’ taps. Magic Twig Community group the Young Sinclairs received placement for two end of the year music lists. The band was featured in a U.K. 2010 top 100 song list for their song “Memory System” off of the digital release of the “We Spoke Our Minds E.P.”. 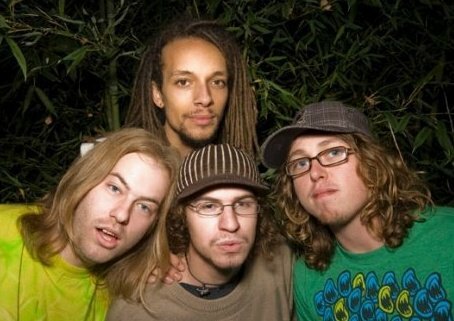 The group was also featured along with Eternal Summers in a Seattle, WA based blog for the top albums of 2010. The Young Sinclairs placed with their release of “Chimeys” and Eternal Summers placed with “Silver”. Below are the links to these sites. 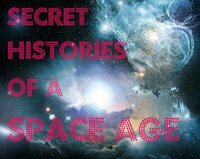 “Secret Histories of a Space Age is an interactive performance and visual arts event documenting mankind’s illustrious past of space exploration. Secret Histories of a Space Age delves into all our final frontiers. It shows us where we have boldly gone, and where we hope to go. We are looking for futuristic, dystopian, sci-fi and fantasy art in any media (including performance, sculpture, and video work). Work must be ready to hang.